Police have confirmed that a man was taken to hospital via Air Ambulance with ‘serious injuries’ following a collision yesterday evening (Tuesday). The collision, reported at 5.09pm yesterday, involved two vehicles. Lincolnshire Police closed the A46 near the Osgodby turn-off for several hours while the incident was dealt with. 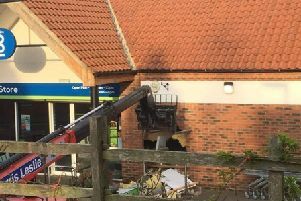 If you witnessed the collision or have any information, call Lincolnshire Police on 101.